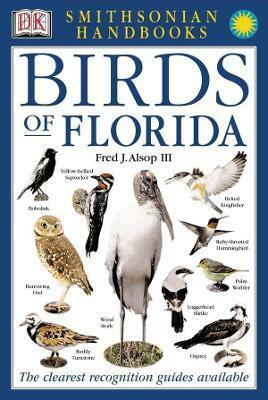 The most comprehensive series of field guides to North American birds ever. This impressive collection highlights birds from all regions of the United States including localized areas such as the Mid-Atlantic, the Pacific Northwest and New England. Whether birding in the foothills of New England, the prairies of the Midwest, or the beaches of Florida, Smithsonian Handbooks are the most comprehensive field guides to North American birds on the market. Looking for the Great Blue Heron or the Piping Plover while visiting the Great Lakes? Desperate to find the rare Long Billed Curlew or the Marbled Godwit during a hike in the Cascade Mountains? There's no need to look any further! Created in association with the Smithsonian Institution, these amazing guides are an absolute staple for any birder or amateur ornithologist. Each local species receives its own profile, along with descriptions of habitats and annotated photographs that highlight specific characteristics and other points of interest. Take bird watching to new heights!